Charlie Truman, centre executive at The Cornerhouse. Big sing-a-long movies, like ‘A Star Is Born’ and ‘Bohemian Rhapsody’ have played a part in the increase, as well as a new influx of students to the city in September, visiting The Cornerhouse for exclusive deals, giveaways and student nights. 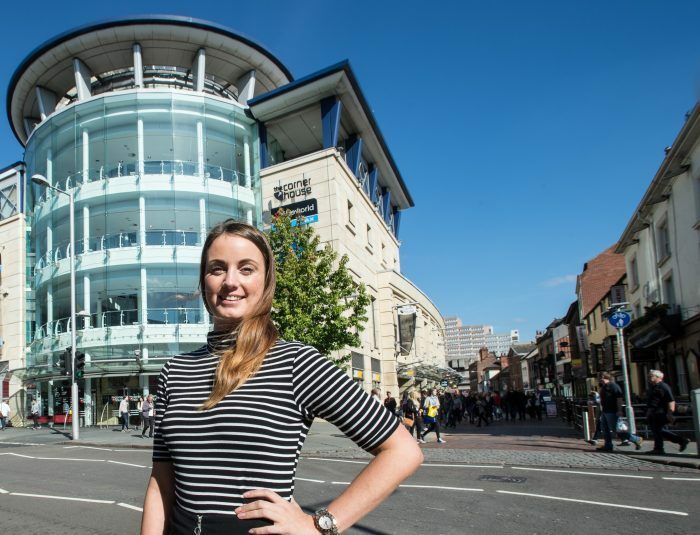 Commenting on a successful year, Charlie Truman, centre executive at Nottingham’s leading leisure and entertainment complex, The Cornerhouse, said: “We have had a fantastic year here at The Cornerhouse and it has been noticeable. Demand has been up across the venues and you can really feel a buzz around the centre. Nottingham’s high street has seen its fair share of hospitality and retail closures during 2018, but The Cornerhouse appears to be bucking this trend, with footfall up eleven out of twelve months of 2018, as Charlie explains: “We have exciting plans for The Cornerhouse in 2019, with new venues and concepts that will add to the centre’s offering, helping us welcome back our loyal customers and see many new ones coming through our doors. These plans are under wraps for now and we can’t wait to share them with everyone!